The Julie Lamb brand stands for individuality and encourages the wearer to 'Stand Out', 'Be Herd', & 'Be Ewe'. The playfully inspirational messages of ‘Be Ewe’, as well as ‘Made in New York by New Yorkers’ engraved throughout 'City', speak authentically to who I am and where I'm coming from. My pieces exude simplicity and craft, with an eye toward merging the traditional skills of master jewelers with new technology. I have a unique way of looking at things and connecting to the symbols around me, interpreting iconography through my own lens and providing a different point of view, be it a lamb, a stone shape, or the hardware details of the city. 18K White Gold with 20 Points of Diamonds. 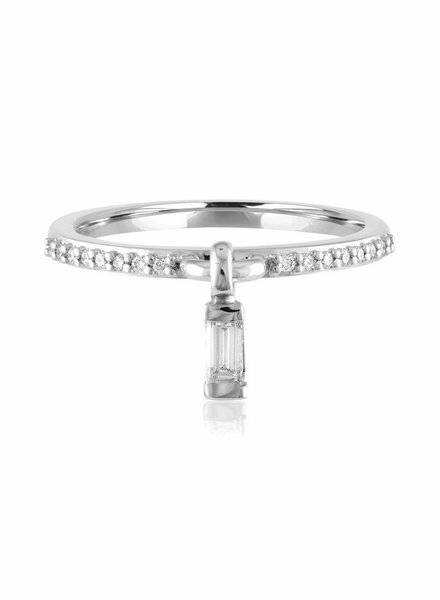 Dimensions: 2mm band, diamond baguette is 4 X 2 mm. Sizing is Available. 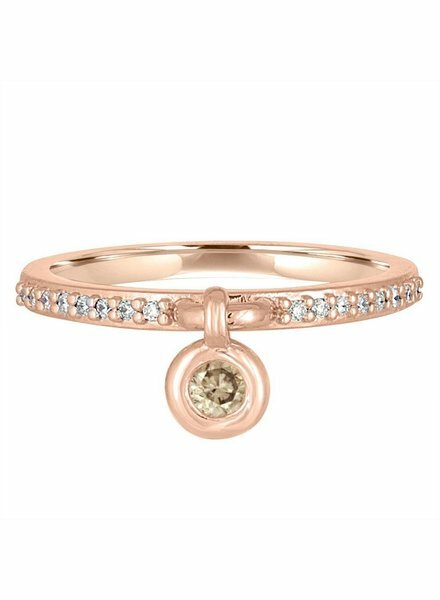 The Bouncing Bezel Diamond Charm Ring is constructed of 14k Rose Gold. It is mixed with Champagne Diamonds and White Diamonds. 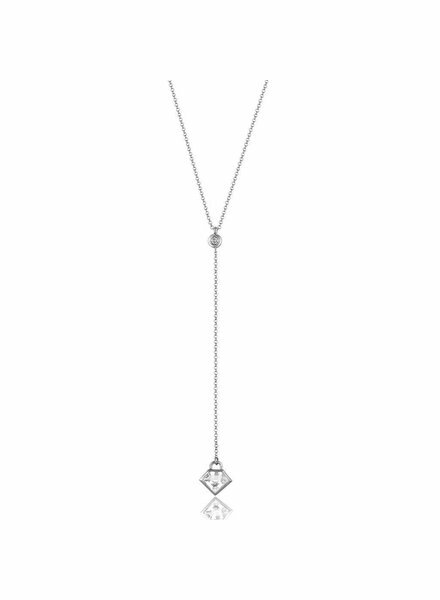 The Lane Lariat is constructed of Sterling Silver. Floating Drop holds a custom cut Semi Precious Shield of Rock Crystal. Total Diamond weight 7 points. 14K Rose & White Gold with 22 diamonds, 55 points total weight. Rounds are Champagne Diamonds, + 2 tapered baguettes in white. 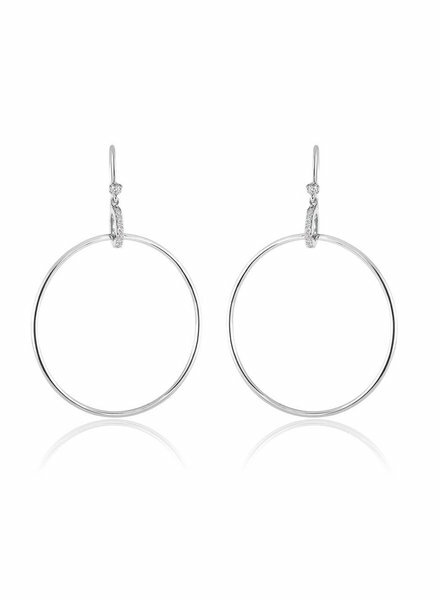 Dimensions: 14.5mm X 13mm oval top, shank is 10.7mm tapering down to 2.85mm Sizes 3-8 Are Available. METAL: Sterling Silver STONE: Genuine Custom Cut Rock Crystal 7.1 X 9.35mm, (.28 X .37”) & 4 point diamond. CHAIN: 1.2mm Rolo Chain 16.5" adjustable to 17.5" with Lobster claw clasp and branded hangtag. 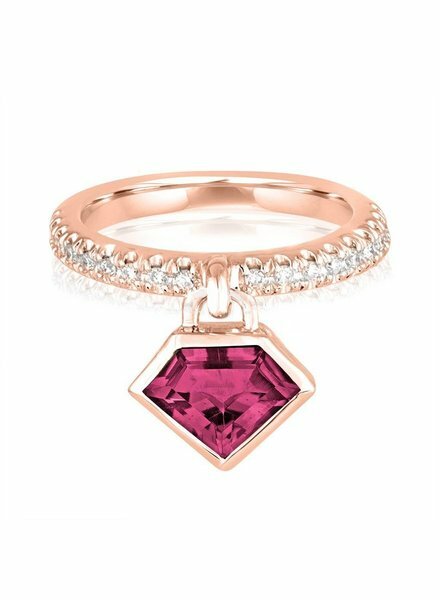 The Diamond Power Charm Ring is 14k Rose Gold set with Smokey Rose Quartz Rhodolite Garnet. 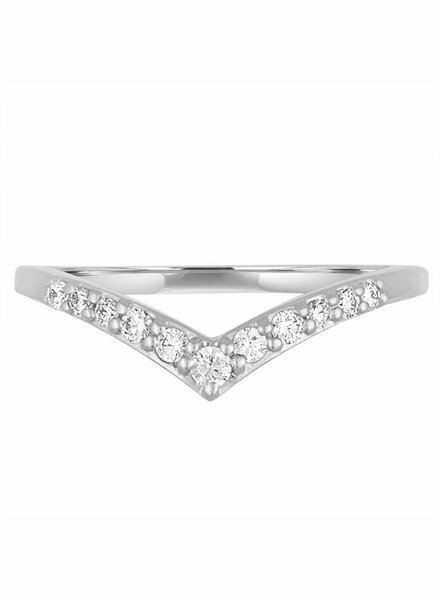 18 points of White Diamonds are set within the band. The Mini Logo Diamond Stud with signature Lamb studs are constructed of 18k Yellow Gold and 14 points of Diamonds. The Signature Mini Logo Diamond Lamb Studs are constructed of 14k Rose Gold and 14 points of Diamonds. 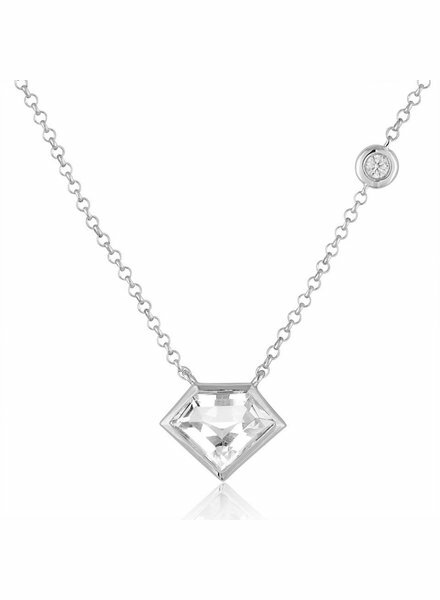 The Super Mini Pendant With Flying Diamond is on an adjustable rolo chain. 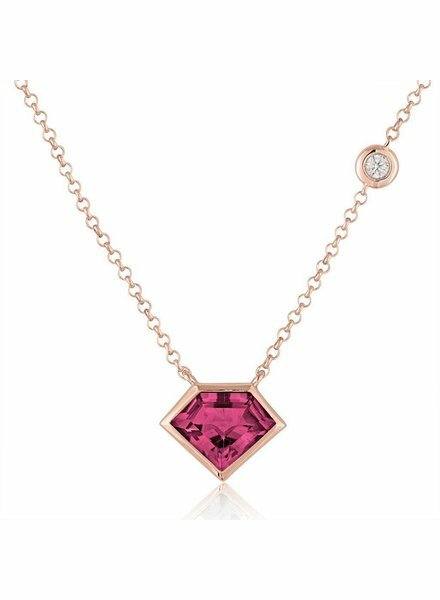 Diamond pendent are constructed of 14k Rose Gold & Rhodolite Garnet. Total Diamond weight 14.5 points. 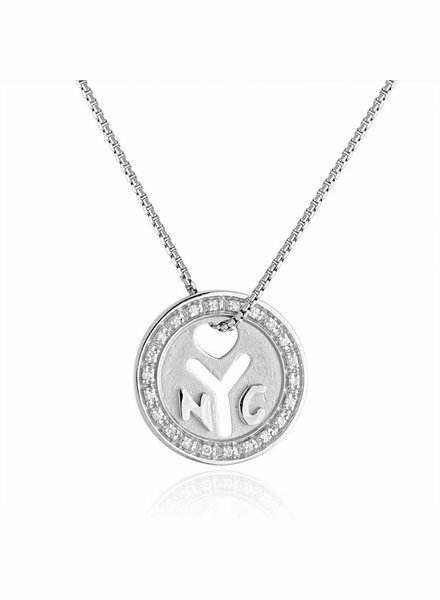 The Small Signature Lamb Pendent has a Diamond accent. 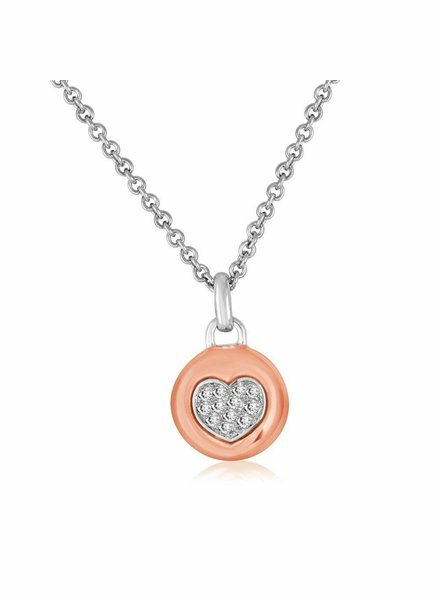 Chain and Pendent are constructed of 14k Rose Gold. Total Diamond Weight: 4 points. 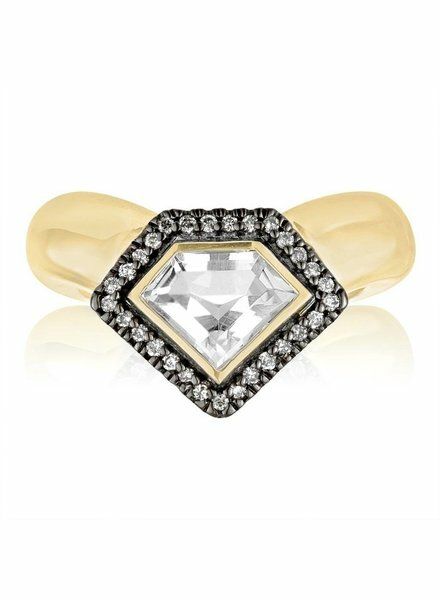 The Diamond Power Chevron Ring is 14k Yellow Gold with a Rock Crystal center. Total Diamond weight 14.5 points. The Lia Chevron Ring is 14k Yellow Gold Chevron ring set with White Diamonds. Total diamond weight 17 points. The Lia Chevron Ring is 14k White Gold Chevron ring set with White Diamonds. Total Diamond Weight: 17 points. The Man Hole Pendent is Sterling Silver. 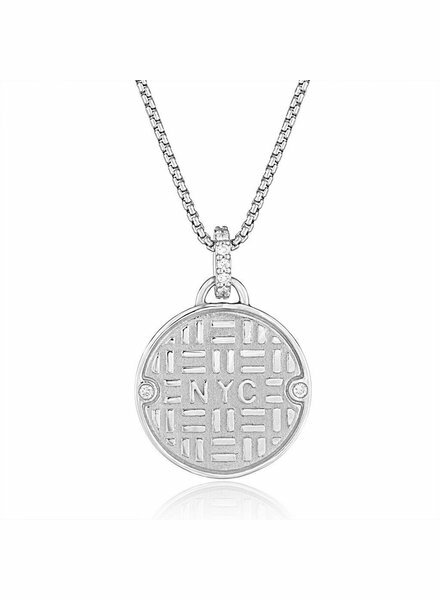 Pendent is placed on a 18'' round box chain. Diamond accents is set on the bail and either side of the pendent. Total Diamond Weight: 16 points. 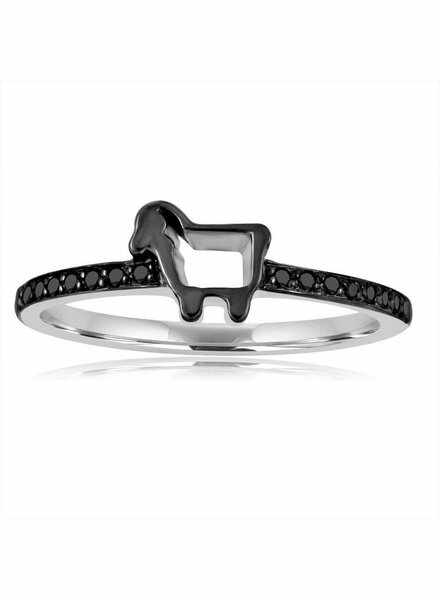 The signature Mini Pave Lamb Ring is 14k White Gold & set with Black Diamonds. Total Diamond Weight: 12 points. 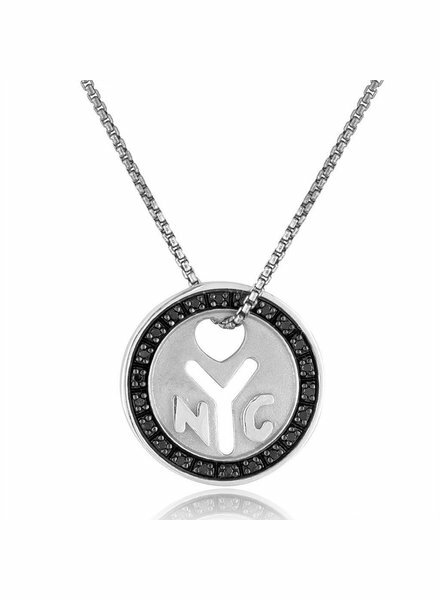 The NYC 'Make It There' Token Necklace is Sterling Silver with a Token Pendent & Black Diamond accents. Pendent is placed on a 20" round box chain. Total Diamond Weight: 32 points. 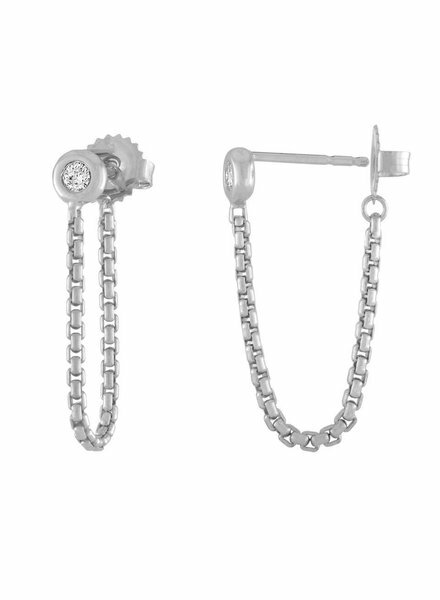 Shortcut Chain Earrings Contain Two Diamonds, Eight Points Total. Sterling Silver Curb Link Chain with 14K White Gold Bezels. 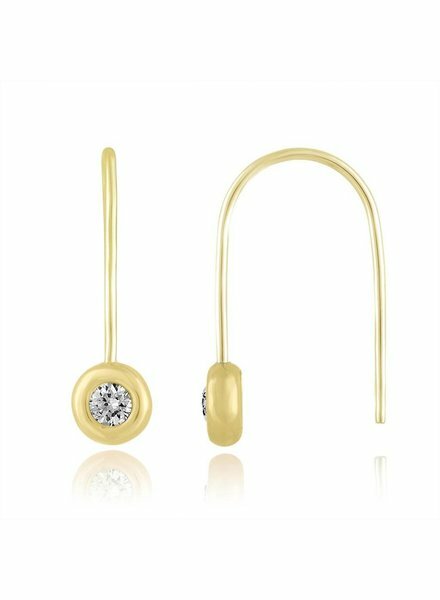 The Signature Bezel Ear Wire are set with a total of 14 points of Diamonds. 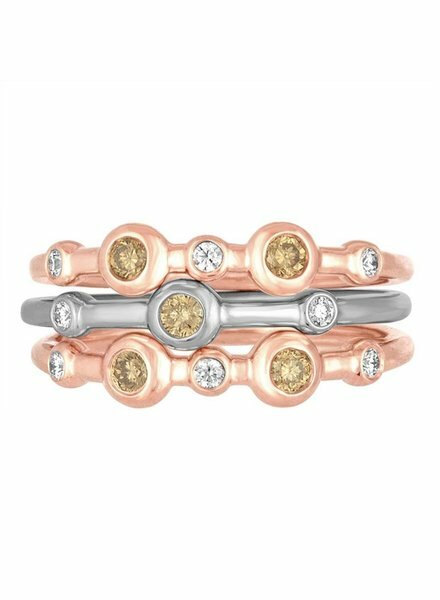 The Mariel Stack Trio consists of two 14k Rose Gold and Diamond Bands with one 14k White Gold and Diamond Band. Total Diamond weight 32 points. 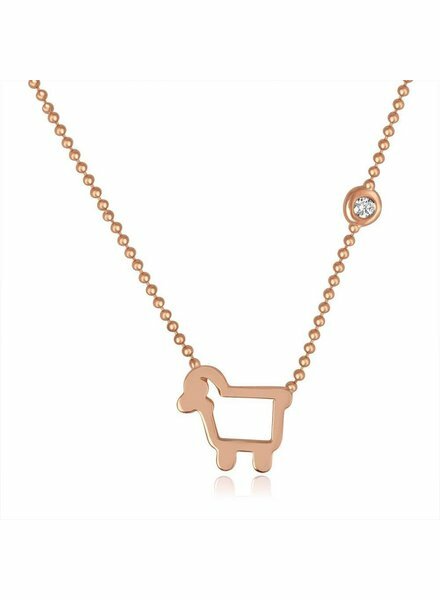 The 'Love Ewe' Pendent is Sterling Silver with 14k Rose Gold accents. Pendent is placed on a close Cable Chain. Total Diamond Weight: 9 points. 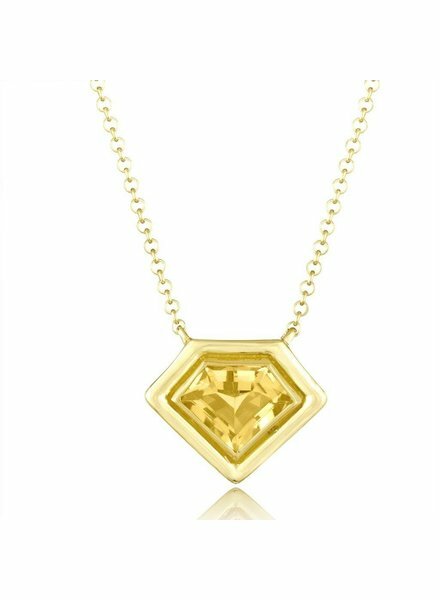 The Super Polished Pendent is 18k Yellow Gold with a Rock Crystal Citrine. 16.5-17.5" adjustable rolo chain.